I had Yiannis as second driving instructor. He was really friendly and helpful and would definitely recommend him. I passed and I’m so happy! 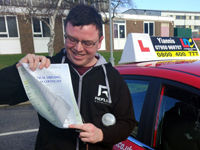 Yiannis is one of the best driving instructors around, he deals with all situations perfectly and makes sure you properly understand everything when driving on the road. He prepared me for my test so well, giving me the best chance of passing straight away. I always felt completely safe in the car with Yiannis, and never like he put any pressure on me, he just helped me to be the safest driver I could be. I would highly recommend him to any learner. Thank you very much for your teaching, I’m having a brilliant time driving the Mini. Best driving instructor I’ve had so far. His approach to teaching facilitated my development and growth as a learner and now an able driver. His focus is not only on getting you to pass but to also be the safest and confident driver possible. He provided different resources (including a small whiteboard) that helped hammer important points to help with my driving. 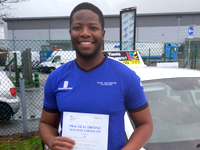 From having other instructors before, Yiannis was the one who gave me the support and understanding to pass my test! 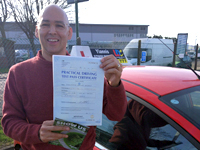 Yiannis is the driving instructor you've dreamed of! 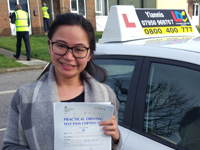 He took me from an experienced driver with many faults to a careful, safe and considerate driver within a couple lessons, passing the driving test on a manual car with flying colours. Yiannis is very patient but appropriately firm. He is very knowledgeable and enthusiastic, and truly cares about you and your driving. He will iron out your faults, and will make safe driving a part of your nature. With his love and care, you will emerge a confident, safe, and courteous driver. Yiannis is simply the best. 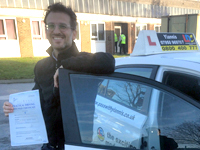 Yiannis is an excellent instructor; in fact he’s the best out of the 4 instructors I’ve had experience with. He tailors all your lessons to your individual learning needs and he is very flexible in his teaching methods in order to find the approach that is the most effective for YOU. 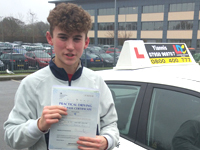 His enthusiasm and patience will get you through the learning process with ease, in which he involves you actively hence achieving maximum confidence in your driving ability. 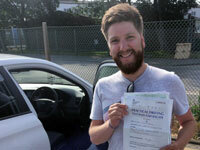 He makes sure not only that you build your confidence up while learning how to drive, but also and more importantly that you become a safe and courteous driver. 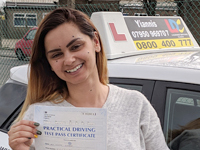 In summary, Yannis will make sure that all those skills of a confident, safe and courteous driver that are much needed on any road become second nature to you in the shortest period of time possible. Couldn’t recommend him highly enough! 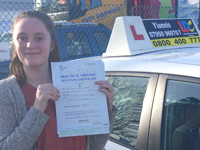 I highly recommend Yiannis for helping me pass 1st time! Yiannis was always friendly and clear in our lessons. He always took care to help me focus on what I needed to learn next and to adapt his style to what worked best for me. Thanks Yiannis!! I highly recommended Yiannis for your Driving Lesson. 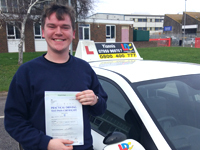 I took the lessons with him and passed the test with only 3 minors. He is not just going to teach you all that you need to pass the test, also, they will teach you how to be confident and good driver. For excellent and friendly instructor, call Yiannis. I cannot thank Yiannis enough for what he has helped me achieve. When I first spoke to him and explained that I'm a nervous wreck and so anxious about driving, he was fantastic and so reassuring. He's helped me achieve something that I never thought I would be able to achieve. Before I got in his car, even the thought of driving would make me panic. 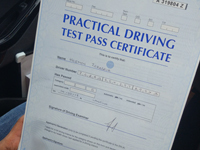 He's helped me overcome this and he has got me through my test with only 3 minors. Yiannis, along with the LDC team are brilliant. He is such an amazing instructor and a real credit to LDC. Thanks so much. Nick Ayre.